PORTLAND, Maine — Road signs directing motorists to the Katahdin Woods and Waters National Monument are going to be installed — eventually — now that Republican Gov. Paul LePage has relented in his opposition to the signs on Interstate 95 and state roads leading to the Mount Katahdin region. The Maine Department of Transportation will allow signs to be manufactured and installed now that Interior Secretary Ryan Zinke has recommended keeping the monument and a renewed request has been submitted by the superintendent for the federal land, the governor’s office said. “This is fantastic news. This is what I’ve been waiting to hear,” Lucas St. Clair, whose family donated the land, said Tuesday. It’s unclear when the signs would be installed, however. The Maine DOT is still sorting out placement, size and costs, and there’s no timetable for erecting the signs, Ted Talbot, Maine DOT spokesman, said Tuesday. The request made by Katahdin Woods and Waters Superintendent Tim Hudson, first reported by Maine Public, seeks six signs on Interstate 95 and 11 additional signs on major state roads. The largest of the signs is roughly 8-by-22 feet and typically cost between $10,000 and $15,000, he said Tuesday. 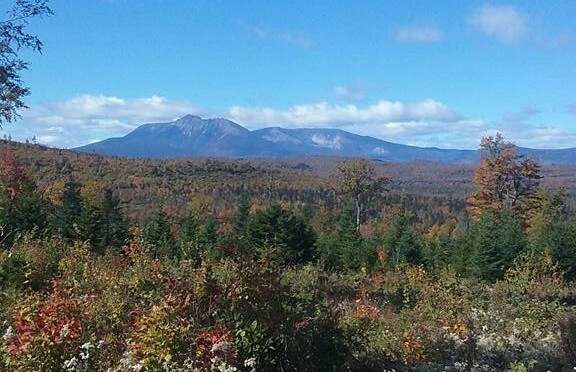 The wooded wilderness includes a 17-mile loop road with stunning views of Mount Katahdin, Maine’s tallest mountain, along with trails for hiking, mountain biking and snowmobiling, and paddling on the Penobscot River’s East Branch. But motorists would be hard-pressed to find it without a map. There are no official signs, and a homemade sign was removed by state officials. St. Clair said he’s heard from many people who’ve inquired about which exit to take on I-95 or reported that they got lost. Last year, the LePage administration balked at the signs pending completion of a review by the Trump administration. But Zinke has since visited the land, described it as “beautiful country” and recommended no changes to the 87,500-acre (137-square-mile) property. Supporters of the federal land managed by the National Park Service said the lack of signs hurt the ability to draw visitors to the economically troubled Katahdin region. Katahdin Woods and Waters was visited by at least 15,000 people in its first year, and the number doubles when snowmobiles are added to the mix. The federal government isn’t coming to the Katahdin region to steal land. View of Mount Katahdin across South Twin Lake. Jonathan Jarvis, head of the National Park Service, is not coming to Maine today in preparation for a federal takeover. He’s not even here to find a way to protect the land in question – owned by conservationist Roxanne Quimby, the 87,500-acre parcel east of Baxter State Park will likely remain as it is in perpetuity, regardless of the outcome of the national park debate. No, Jarvis is in Maine to see whether the land should receive the significant exposure and prominence that comes with a federal designation, and whether the designation can be administered in a way that satisfies local concerns. 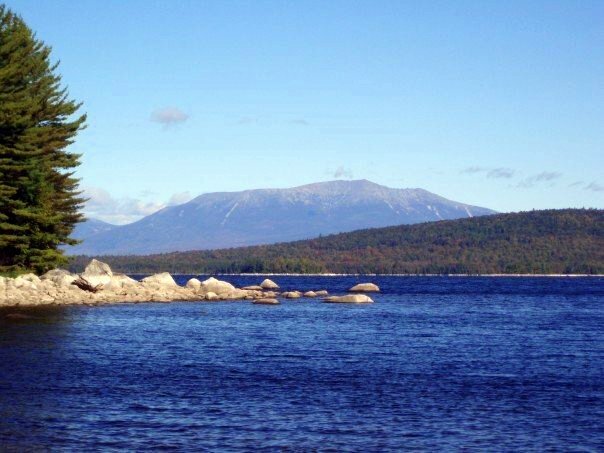 The people of the Katahdin region, and everyone with a stake in the future of the area, should enter that discussion with good faith, because the highest and best use of the Quimby property is as a national monument then a national park, with the potential to draw thousands of new visitors, as well as new investment. 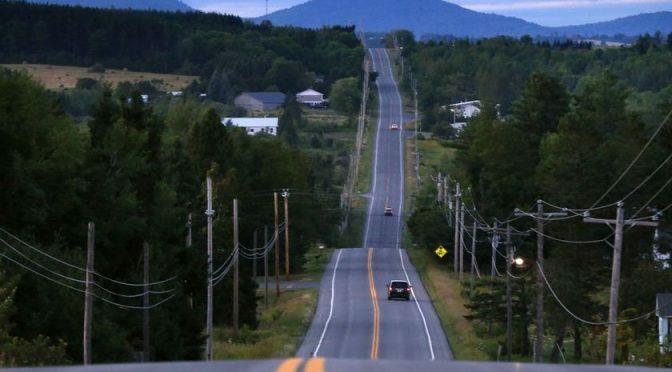 Jarvis plans to hold public meetings today in Orono and East Millinocket, both moderated by Sen. Angus King, and the latter with selectmen from five Millinocket-area communities. Following a visit to the region in 2014, and coming soon after Maine’s congressional delegation and the Obama administration exchanged letters regarding the land’s future, the meetings are seen as a signal that President Obama is considering the land for a national monument designation. Available to the president to unilaterally protect “historic landmarks, historic and prehistoric structures, and other objects of historic or scientific interest,” the designation is often a precursor to a national park, which requires an act of Congress. That’s the path taken by Grand Canyon and Grand Teton national parks, as well as our own Acadia National Park, which like Quimby’s proposal faced stiff opposition, but now sees more than 2 million visitors a year. Although a North Woods national park enjoys strong statewide support – 67 percent, according to one poll – as well as the backing of the Katahdin area chamber of commerce and Rotary Club, nonbinding referendums in towns near the land have gone overwhelmingly against the idea, and the forest products industry that drives the region’s economy is strongly against it, as well. The skepticism is understandable. Maine has very little experience dealing with federal ownership of land. Instead, almost unfettered public use of private property has allowed recreation and industry to live symbiotically for generations. There is fear that the involvement of the federal government would disrupt that, adding to all the change and uncertainty already gripping the region. But there’s no reason a park can’t coexist with the forest products industry while bringing its own benefits, which include the distinction of being a national park and the massive marketing power that comes with it. A study commissioned by Quimby’s organization, and reviewed by well-regarded economists, predicts a 150,000-acre national park – the ultimate goal, supported by a $40 million endowment from Quimby – would create 450-1,000 jobs with above-average pay, just as parks have done in areas of similar size and demographics. Alternately, harvesting timber on the land would sustain only 21 jobs, and contribute less than 1 percent of the total harvest in Maine. But concerns remain about how the park would affect the surrounding area. Will it cut off long-standing snowmobile trails and logging roads? Will it impose tighter enviromental restrictions that limit the ability of the forest products industry to operate? Will its boundaries eventually expand without the input of local residents? Those concerns were laid out in a letter to Jarvis from the congressional delegation – minus Rep. Chellie Pingree, who is in favor of a park – and Jarvis is open to addressing them. Wariness of the park proposal is reasonable, as is the need to get assurances, in writing, that opponents’ fears won’t be realized. But dismissing the proposal out of hand because the federal government is involved is absurd, and detrimental to the future of the region.